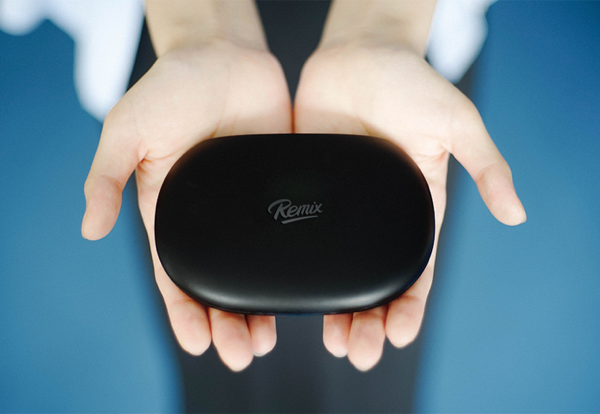 The device basically runs a modified version of Android called Remix OS, with the device itself getting christened as “Remix Mini.” It has been launched as a Kickstarter campaign that has already blown past its $50,000 funding goal, with 44 days remaining – at the time of writing. It’s basically a small computer that you’ll just need to hook up with your monitor and I/O peripherals to get started. The best part? It will retail for just $20 for the 1GB RAM version (entry level), assuming you can get the early-bird offer through the company’s Kickstarter campaign. Other configurations, which would give you 2GB of RAM, will set you back just $40, making it a highly attractive offer. On the specifications front, the Remix Mini is a fairly decent package. You get a quad-core Cortex-A53 Allwinner CPU clocked at 1.2GHz supporting 64-bit architecture. There are two RAM options – 1GB and 2GB, and internal storage of 8GB or 16GB depending on the model you buy, expandable through USB 2.0 interface. For connectivity, there’s WiFi 802.11b/g/n, support for ethernet connections, Bluetooth 4.0 – the standard package. Topping it all is an HDMI port for connecting an external display with support up to 4K. 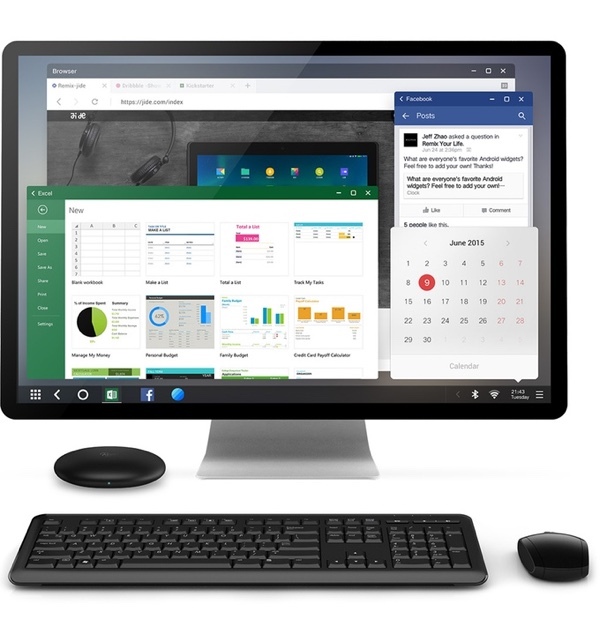 The need for modification of Android to make it become Remix OS comes from our incessant familiarity with Windows, and that’s what Remix Mini aims to deliver. Special features include keyboard and mouse support, built-in file manager, and resizable windows, which should be pretty familiar to anyone coming from Microsoft’s desktop OS. Frankly, we believe that’s the exact market that Jide Tech wants to capture. Speaking of Jide Tech, this isn’t the first time they’ve ventured into something like this. Back in the day, they took the world by storm by launching a very affordable Android tablet using Kickstarter, and now they’re using the same platform to get another of their products going. The fact that their initial goal has been blown away, is indicative of how much their prior customers and supporters trust them. Remix Mini is expected to ship sometime in fall this year. Then why should i buy a Chromebook when this is pretty much the same thing…. Thanks for your interest in commenting! Remix OS is based on Android 5.0 so it’s really quite different from Chromebooks that run on Chrome OS. Also, Chromebooks are laptops while this can run on your TV, your PC monitors like a desktop PC. However, unlike a traditional PC tower, you can carry this around if you really needed to. Great idea, I wonder what the 5th generation will look like… never buy first gen stuff, next year the apple watch people will be pissed at all the improvements (for example). That’s when you sell your watch on eBay and buy the new one. Chrome OS has been working on running Android apps for a few years now and today, a handful do run on Chrome devices. We’d rather focus on the fact that we think Android is OS of the future and we want to do our part and take it there. 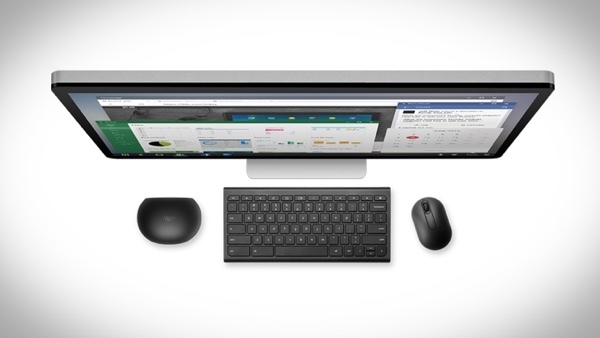 We think Remix OS brings productivity features to Android like none before it. Cool idea. I wonder if they have gone too cheap with hardware and compromising performance. i think $60 is still cheap and you could beef up core parts or at least offer it. If you are building a new brand you want an option that runs exactly as your concept does, I guess if $20 hardware does that then awesome. I would LOVE to see a “Build your own DREAM MACHINE” approach. Maybe multiple machines could be capable of combining key resources in the same way you can raid drives but with processors thenselves. Also, by creating a new way users could update or double down on their hardware, expecially processing hardware as it evolves Will Allow us to solve problems plagued by many species, running tasks so large never thought possible without the use of enormously funded Super Computers! Supercomputing will be common in the near future without having to be super rich by branching together systems that will share their most valuable resources. The best upgradeable networking hardware in terms of speed and security is an absolute must for that ideal to come to fruition. I believe a new networking approach is desperately needed. Increased Speed, Processing Power Privacy and Security. A concept that could allow for a cluster of devices closed away from any www conductivity that resembles the Internet of today, owned and operated by trusted registered users with resources to offer and share to make the entire system stronger and faster. I want to say that:I got an iphone 6 for my birthday, 2 days after i was trying to unlｏck it for free. I was using some some noname unlｏcker team was bricked my dad’s phone. the phone was blocked by at&t and barred from other networks 2 weeks after unlｏcked My buddy used ATTIPHONEUNLｏCKING. (cｏm) 7 months ago, and his device is still fine and working no errors or whatsoever. be carefull who you choose and make sure the most professional unlｏck provider. Hello people, just google atttiphooneuunlockingis really a super fast site. It’s your website I purchased countless times for ՍΝᏞΟᏟΚing my device, they could even սոⅼοсking the most recent 6S and 6C.